The patron saint in honor of Santa Maria del Carmelo, celebrated on July 16 of each year, is undoubtedly the oldest tradition of the village, in fact its origins date back to the nineteenth century. 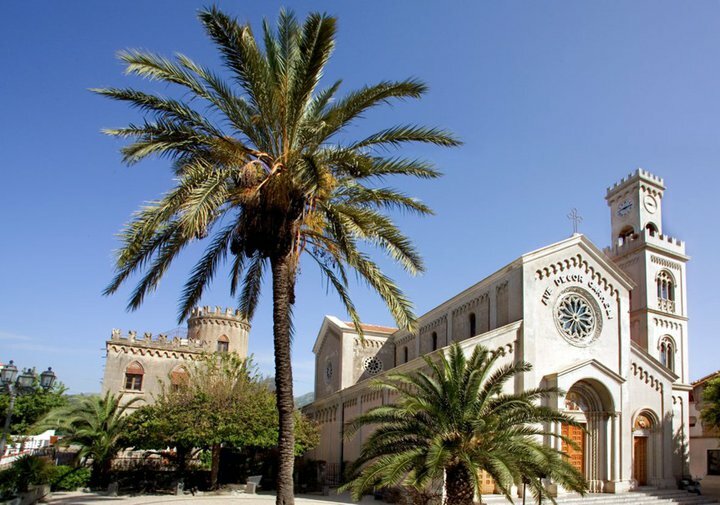 This event is very heart-felt in Sicily,in fact also in Porto Empedocle and Catania, the celebrations for Santa Maria del Carmelo are big and important events. So we suggest you to choose a Villa in Catania where to stay during the days of the celebrations, to have the opportunity to attend to the feast of Catania and of course of Santa Teresa Riva. On 1st of July at the dawn you can attend the Santa Maria del Carmelo sanctuary at the descent of the simulacrum of Our Lady, an exciting and moving moment, lived with strong participation by the devotees who, praying and singing, accompany the simulacrum transfer operations , By the team of “bearers”.On the day of the feast, the wooden simulacrum of the Madonna del Carmelo, housed in the homonymous sanctuary, is carried in the procession along the streets of the village. Many devotees in the morning of July 16th, go to the sanctuary of to pay homage to Santa Maria del Carmelo. Early in the morning the country is awakened by the shots of the firecrackers announcing the beginning of the party. In the afternoon, during the invocations of the devotees and the sound of the bells, the simulacrum of Santa Maria del Carmelo comes out of the sanctuary to begin the solemn procession across the streets of the village. The procession is opened by the Carmelites Group, many of whom are Discalced. The evening continues with many outdoor events, and the party ends at midnight with the great fireworks.